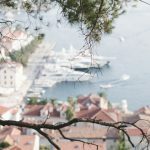 Beautiful architecture, wonderful beaches, and a unique atmosphere – that’s how I would describe my dream holiday destination. 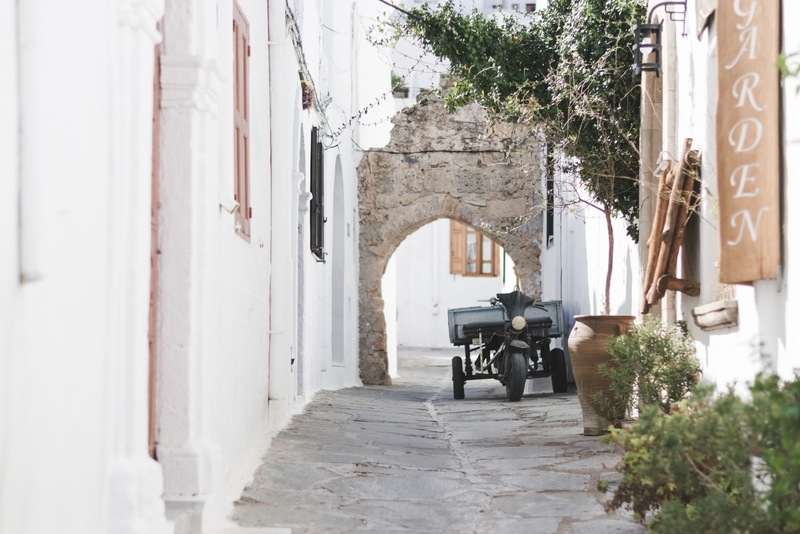 Lindos, a small town on the Greek island of Rhodes, has it all. 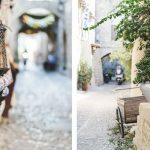 Narrow streets, white Greek houses, shallow sea that delights with its blue color – all of this can be found in this wonderful Rhodian town. In the pictures, I tried to capture the atmosphere of this amazing place. I invite you for a virtual walk around Lindos! Lindos is one of the most popular places on the Greek island of Rhodes. 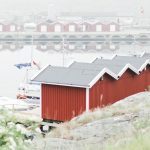 It is hardly surprising because the town is charming and is undoubtedly one of a kind. 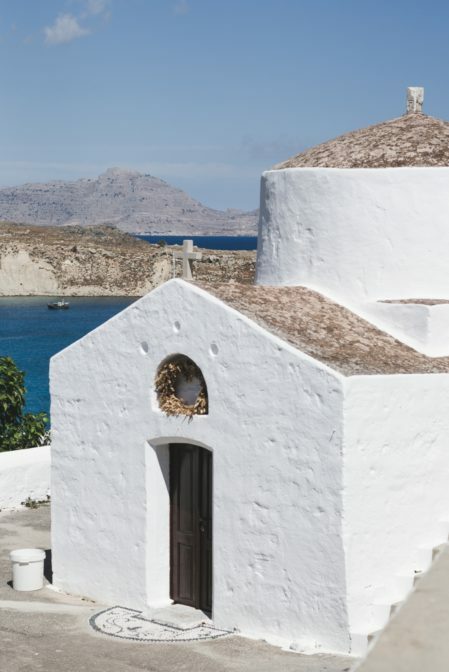 White houses contrasting with the blue sea and the Acropolis towering above make an amazing impression. Lindos is located on a small peninsula, on the east coast of the island of Rhodes, 50 km south of the capital – the city of Rhodes. 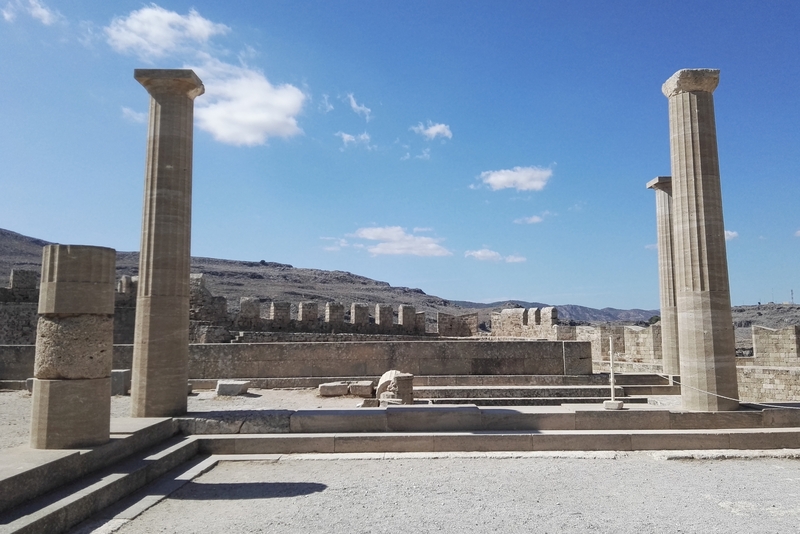 In ancient times, Lindos was one of six Doric towns known as Doric Heksapolis. 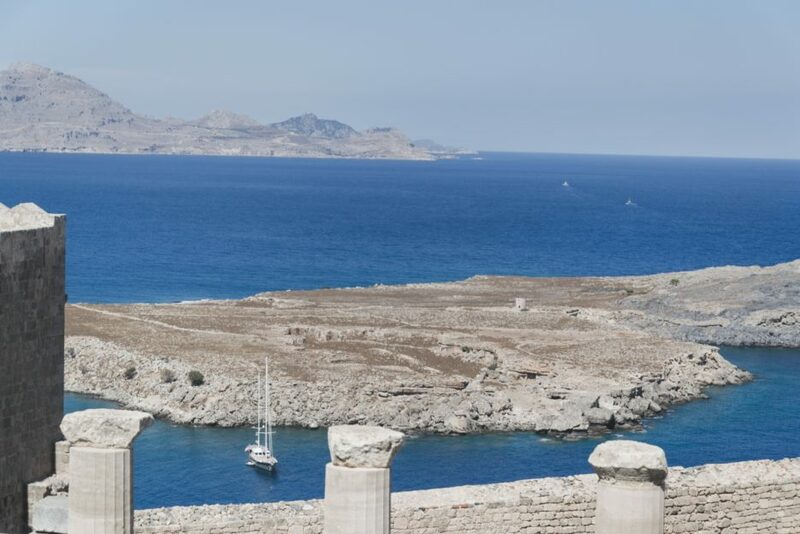 The best way to get to know the history of the town is to visit the Acropolis of Lindos. 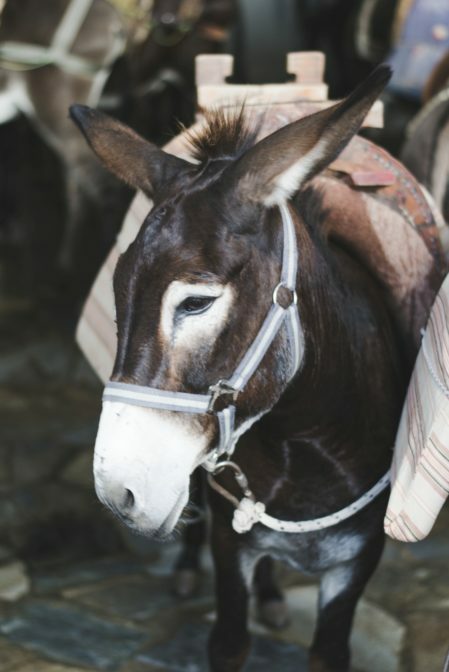 You can get to the Acropolis of Lindos on foot or pay for a donkey ride. 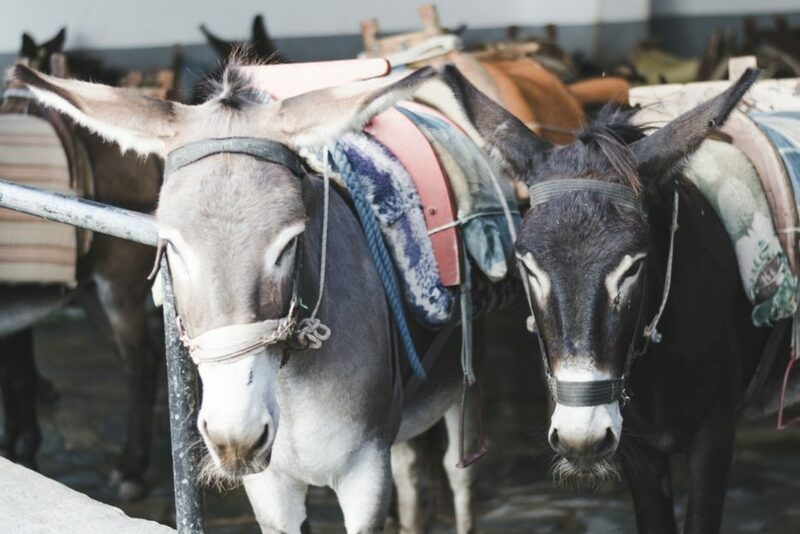 It costs 5 euros per person, donkeys are on the main square, right at the entrance to the city. 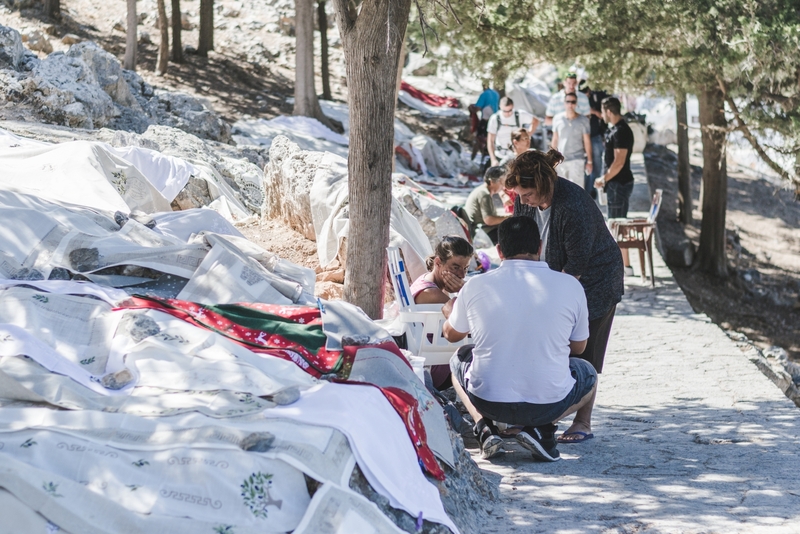 Along the way to the Acropolis, you’ll see women selling famous Rhodian lace. The products of local tailoring are sought after by many museums from around the world. At the top of the Acropolis, there is the temple of Athena Lindia from the 4th century BC which was considered to be the holiest sites of the ancient world, visited by Aleksander Macedonian himself. From the hill, you can also admire the famous St. Paul’s Bay, which is one of the most characteristic places on the island of Rhodes. You will certainly see it on many postcards. 1. Walk up to the Acropolis of Lindos. You can reach the Acropolis by climbing a steep path leading to the top of a 116-meter hill or riding on a donkey. On the top, you will find stunning ancient remains that include a Temple to Athena Lindia and a 20-columned Hellenic stoa. 2. 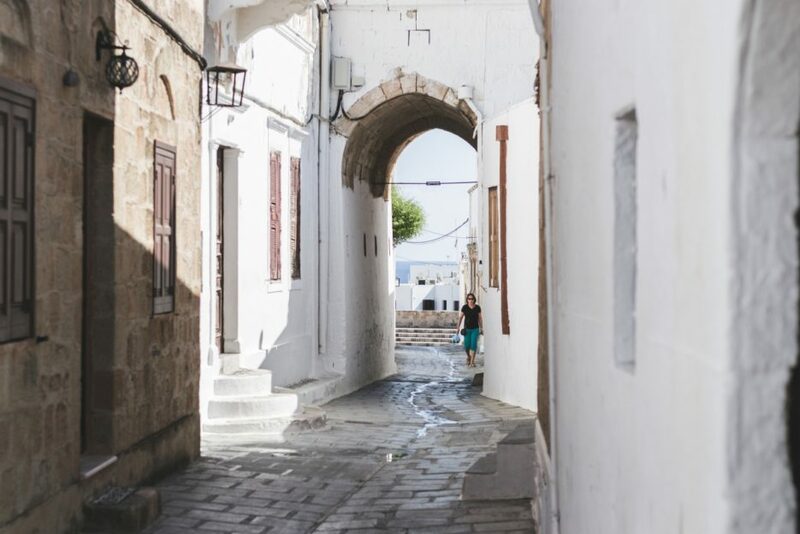 Take a walk through the narrow streets. 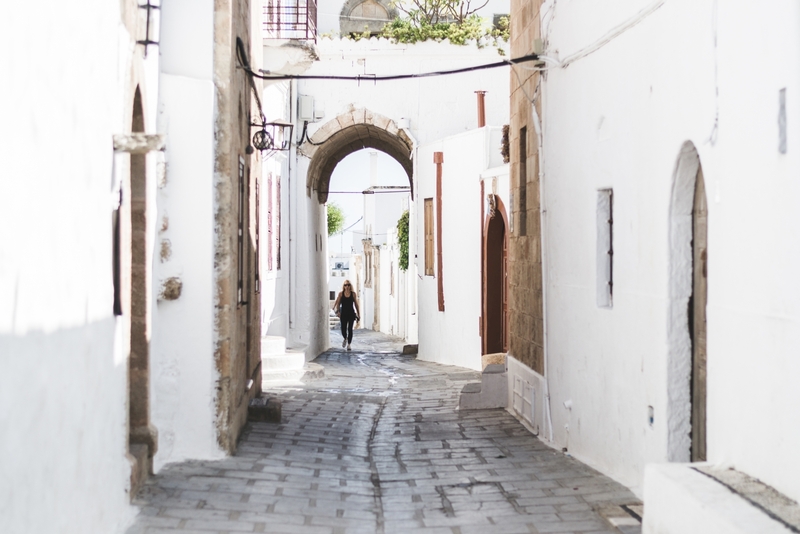 The best way to explore Lindos is getting lost in the maze of narrow streets. 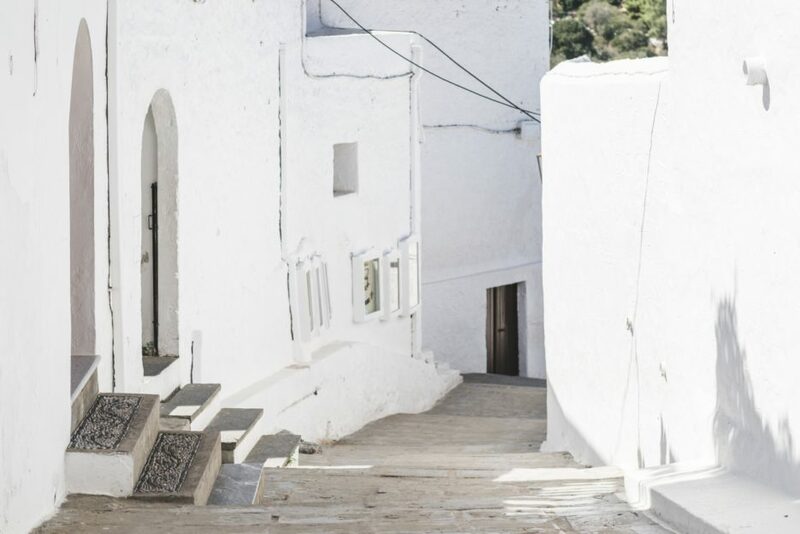 There are many beautiful whitewashed Greek houses including old mansions dating back to as early as the 17th century. Pavements made of pebbled mosaic created from black and white smooth sea rocks called hohlaki are also impressive. 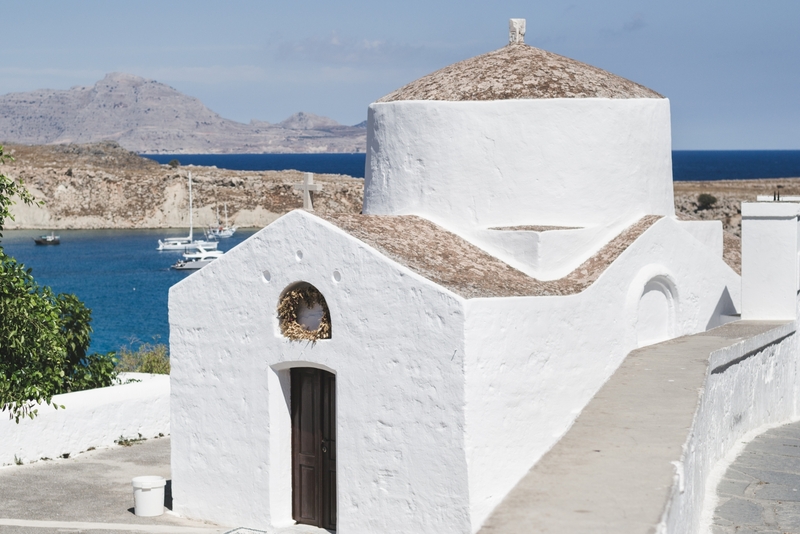 There are many shops in Lindos selling souvenirs, handmade craft and Greek-inspired jewelry. If you are looking for a gift for your family and friends, here you will surely find something interesting. 4. Visit the Church of Panagia. 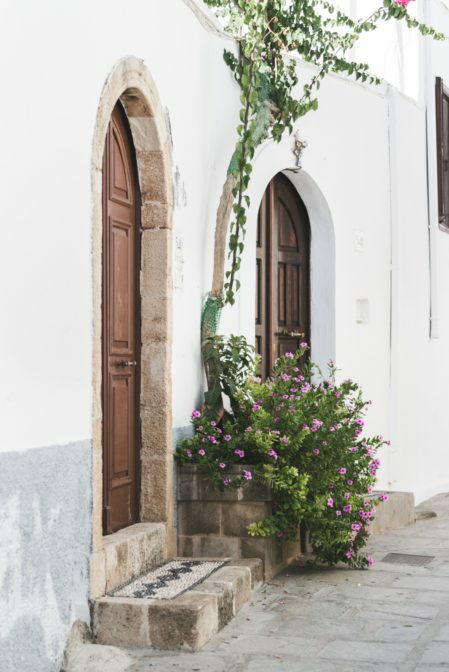 campanile tower and 19th-century wall frescoes is an enchanting sight and a must-see place in Lindos. 5. Swim at St. Paul’s Bay. 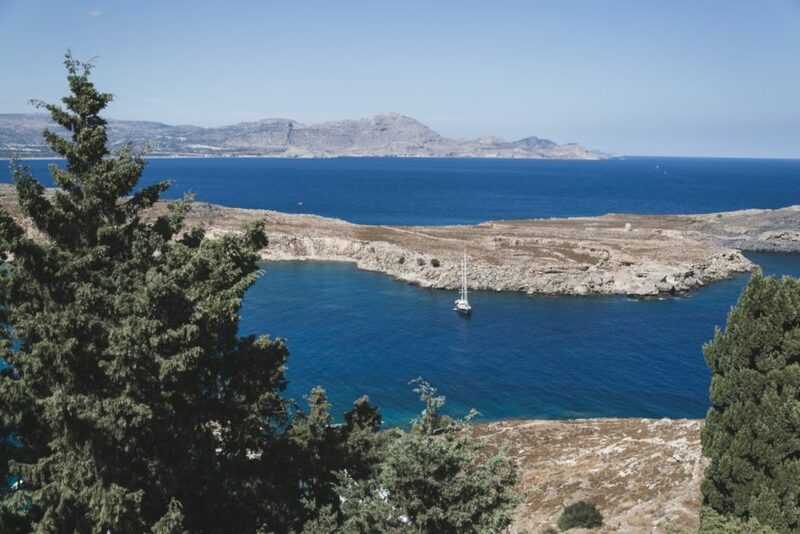 The best view of the St. Paul’s Bay is from the Acropolis of Lindos. 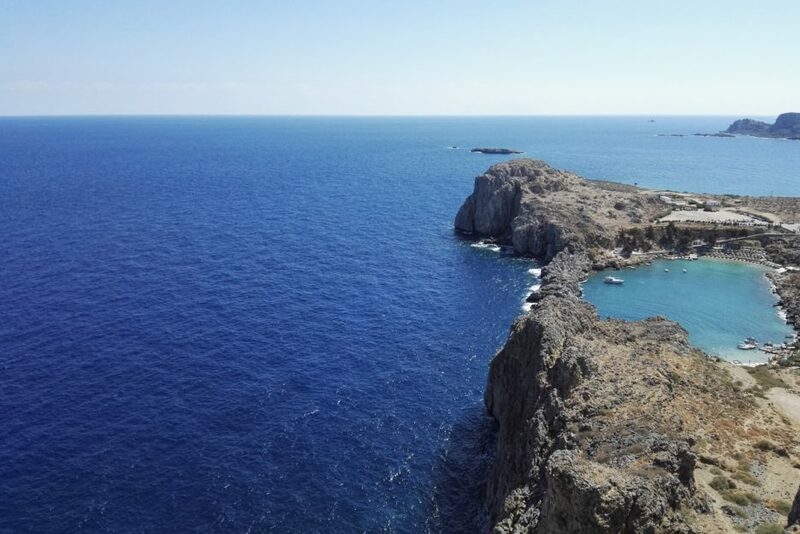 Its amazing shape and crystal clear turquoise waters make it one of the most visited places in Rhodes. 6. Relax at the Lindos Beach. Located on the east of Acropolis, Lindos Beach is sandy with shallow water, so it’s a perfect place for families with kids. You can relax here and then continue to explore the city. 7. Have a drink at the rooftop Bar-Café. There are many rooftop bars and cafés scattered throughout the town. When you are at the top of the Acropolis you can see these places from above. 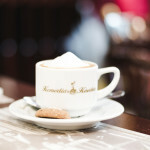 Whether it is the middle of the day or evening, having a coffee or a drink in one of such venues is always a good idea. 8. Try some local food. Lindos has many nice restaurants where you can try the delicacies of Greek cuisine. Go to one of them and order a dish you’ve never eaten before. 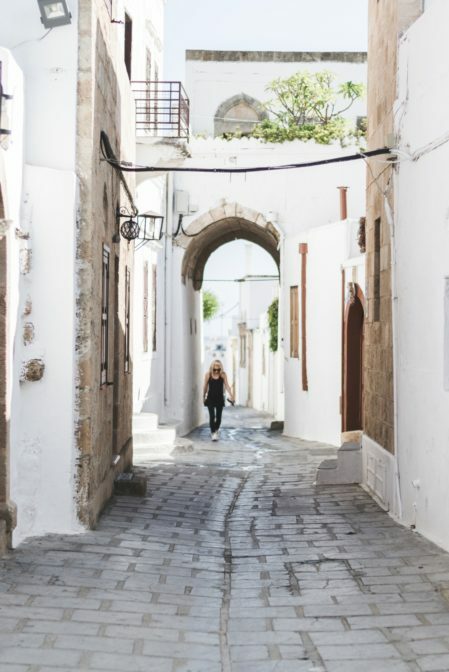 How to get to Lindos, Rhodes? 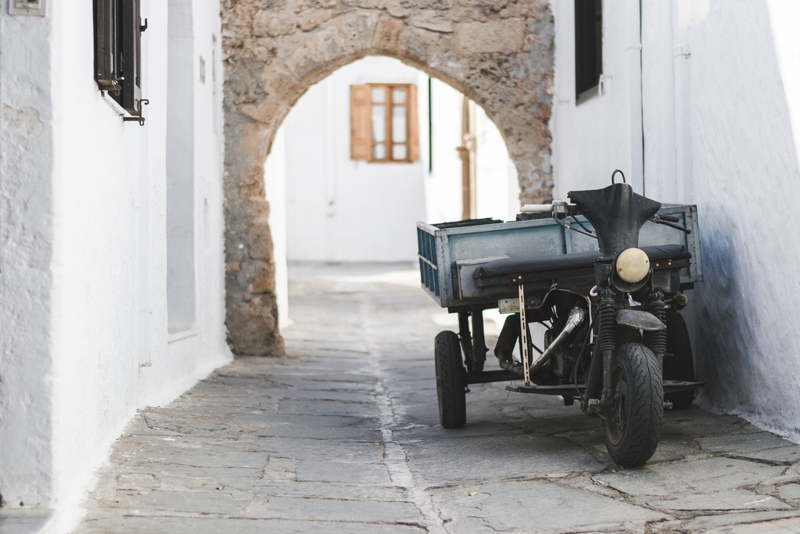 By car: There are a few ways to get to Lindos. In my opinion, the most comfortable option is to rent a car. The road to Lindos is good with a lot of signs, do not worry – you will not get lost! By taxi: You can also get to Lindos by taxi, but it is quite expensive. Getting from the airport will cost you about 60 euros. 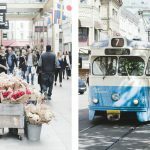 By bus: It’s much cheaper to get there by public transport, but it takes more time. The approximate travel time from Rhodes to Lindos is about 1:30 h. The advantage is the price which is only 5,50 euros one way. 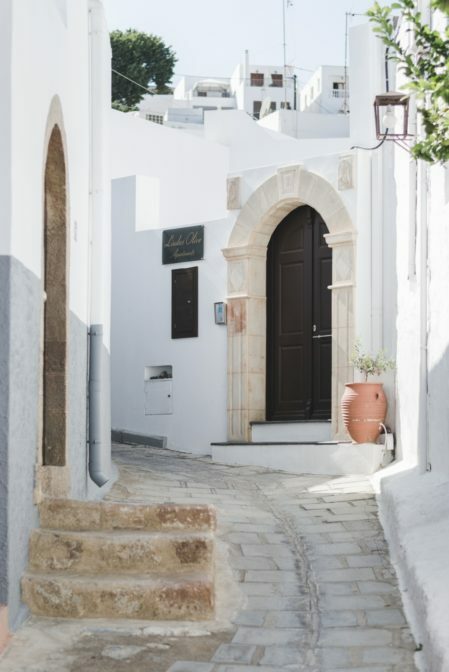 Where to stay in Lindos? There are many nice hotels and hostels in Lindos. 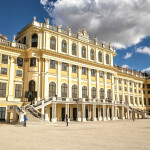 The accommodation offer is rich and you will certainly find something suitable for both luxury and budget travelers. I usually use the Booking service, here you can find a list of hotels in Lindos. 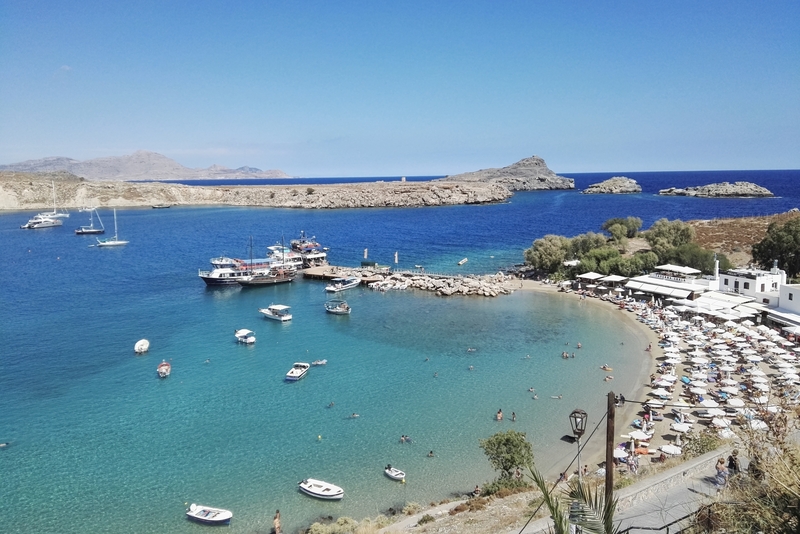 What is the best time to visit Lindos? In the summer, Lindos is very crowded with tourists. To feel the atmosphere of this place, it is best to come here in the spring or autumn. At the end of September on the island of Rhodes, there is still nice weather, the sea is warm and there are not as many tourists as in the middle of the season. 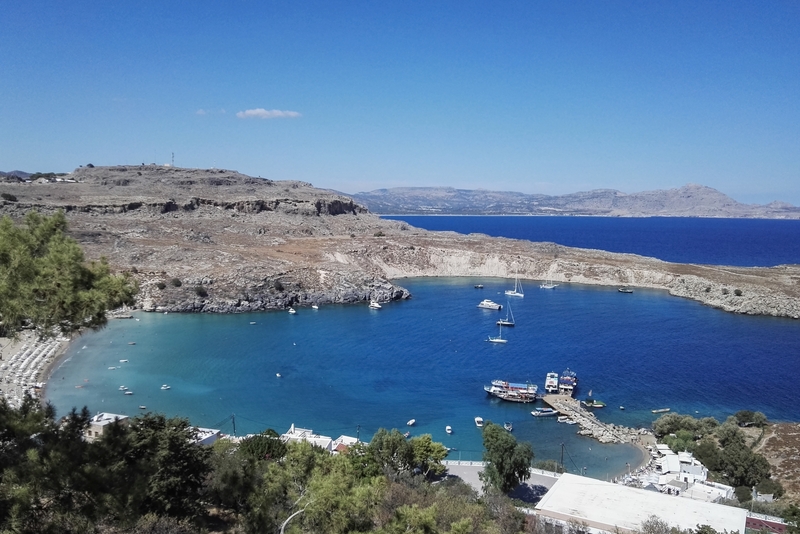 What are the opening hours of the Acropolis of Lindos? What is the entrance fee to the Acropolis of Lindos? The tickets to the Acropolis of Lindos cost: Full: €12, Reduced: €6. Is it better to go to the Acropolis on foot or pay for donkey ride? A walk from the main square to the Acropolis of Lindos takes only 15 minutes. The road is steep, but anyone who is healthy will easily reach the hill. 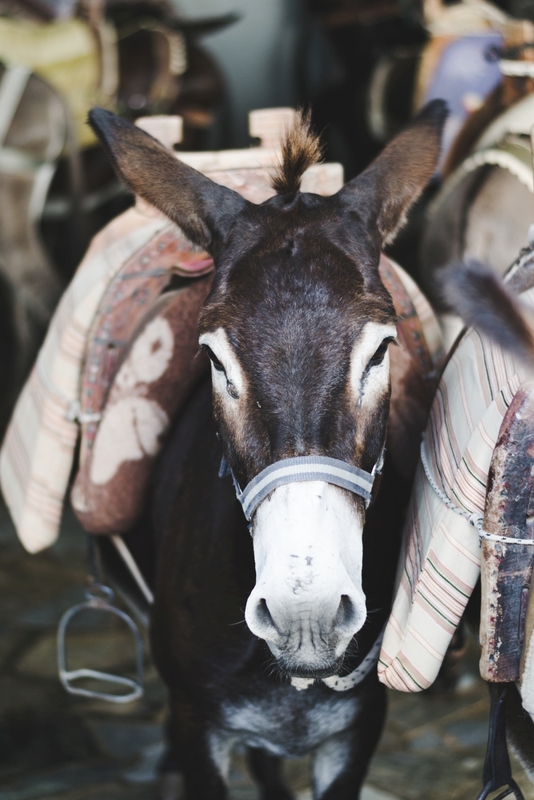 Riding on a donkey is just a tourist attraction and I leave the choice to you. 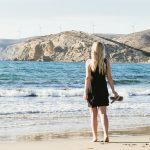 What are the best beaches in Lindos? 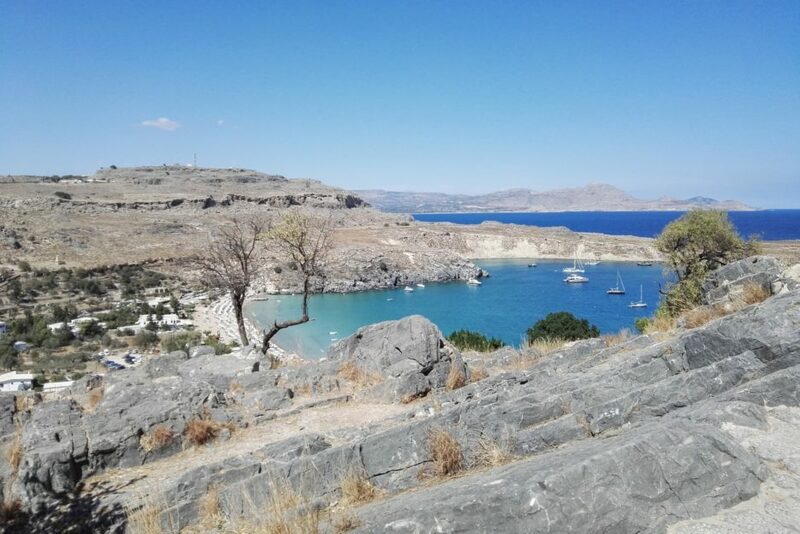 If you are looking for a sandy beach with shallow water, the Lindos Beach (called also the Main Beach) is just right for you! There is also the smaller Pallas Beach next to it. The famous St. Paul’s Bay is also a place which is worth to visit. An aerial view shows St. Paul’s Bay as shaped like a heart so many people are marrying here. You can also visit Vlicha Beach which is situated approximately 3km north of Lindos. It’s a very long beach with a mix of sand and shingle. It’s never too crowded so it’s a great place to swim. Lindos is one of the most beautiful places in Rhodes and perhaps also in all of Greece. 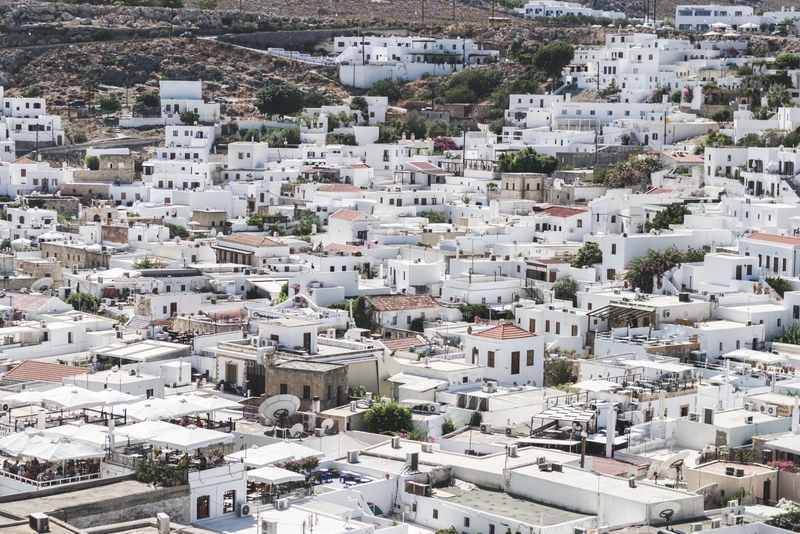 Whitewashed Greek houses look beautiful against the blue sea, and the Acropolis of Lindos towering over the city completes this idyllic, postcard view. 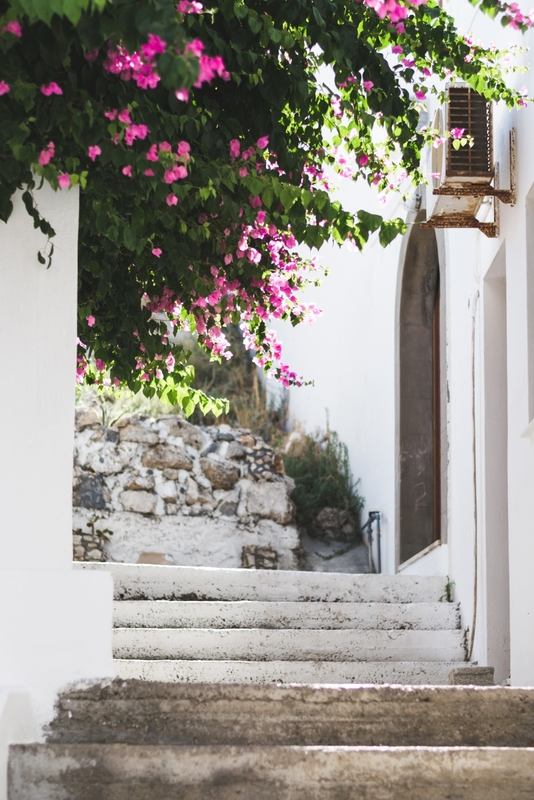 The only disadvantage of this place are crowds of tourists, so if you want to stay in Lindos for a few days, it’s best to come in spring or autumn. 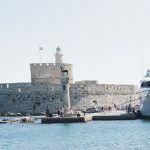 If you would like to read more about Rhodes Island and you are interested in places with beautiful architecture, check also my previous blog post about the best things to see in the old town of Rhodes. Thank you Kristie :). Greece is a beautiful and diverse country, and each island is unique in its own way. 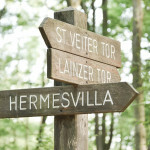 It’s definitely worth going there! 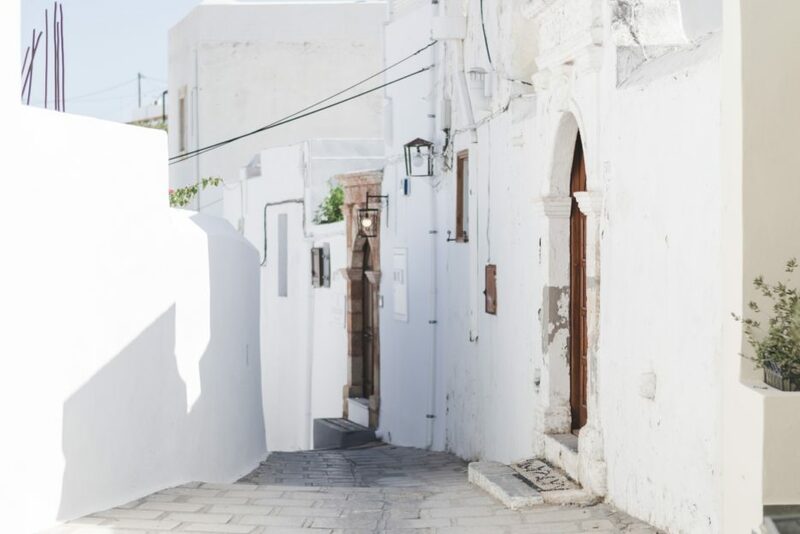 This white architecture is so cool! What a lovely places. Makes me instantly think about street photography.Wish I was there with my camera. WOW! Those pictures are absolutely beautiful. I would love to visit. Thanks for the recommendations. Lindos looks like such a beautiful town. I would love to get lost it its narrow streets. Very charming town. I would love walking on that cobblestone street surrounded by white-washed homes. I dunno but we always picture Greece as a beautiful perennially sunlit country. We would love to visit here someday. 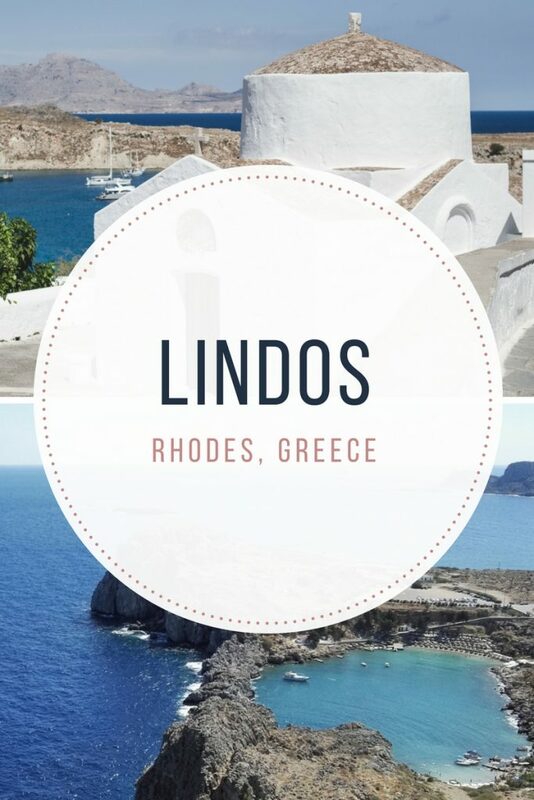 You have done great job of showing Lindos here. I have been to this location many times and it is really beautiful. The photographs you have captured really bring it to life. I really like your website, and I will be back in Lindos again very soon. Thanks for this, I enjoyed it! 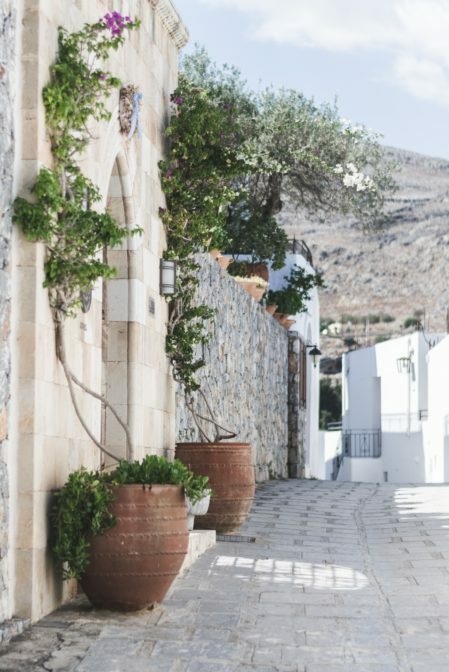 Thank you for your kind words and I’m glad you liked my blog post about Lindos. I would also like to go back there one day. Let this personally be my opinion, but it tells me that no country in the world can compare with the beauty of nature and the architecture of Greece. You’re right, Lindos is a really charming place. 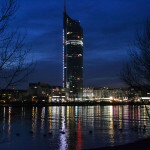 There is beautiful architecture, views, monuments, beaches … I’m not surprised you fell in love with this town.